200 Ultra Pro Regular 3x4 Size Top Loaders and 200 Free Sleeves Free Shipping! 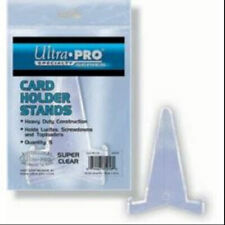 Ultra Pro Small Card Holder Lucite Stands (Pack of 5) Ultra Clear Free Shipping! 5 Ultra Pro One Touch 35pt Gold Magnetic Card Holders UV Free Shipping! 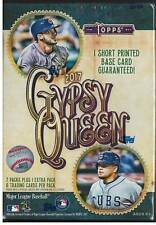 2017 Topps Update Series Baseball Hobby Box Bellinger Voit RC's ! 10 Ultra Pro 3x4 Super Thick Toploaders 260pt Toploader 1 Pack of 10 Free Ship! 40 Ultra Pro 3x4 Super Thick Toploaders 120pt (4 Packs of 10) Free Shipping! 2007 Topps Factory Sealed Hobby Set Includes Jeter #40 Factory Set Version! 1998 Topps Gold Label Class 1 Peyton Manning RC Rookie #20 Indianapolis Colts!